﻿ Best Price on Casa Del Mar in Puerto Manzanillo + Reviews! Casa Del Mar is located right on Manzanillo Beach and just 656 feet from the Gandoca Manzanillo Wildlife Refuge. 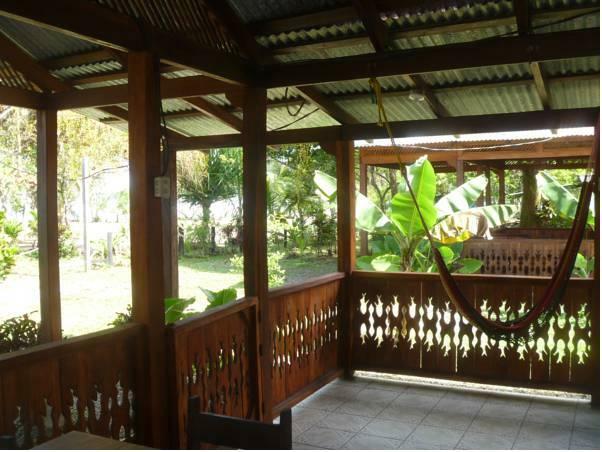 It features rustic décor, an extensive garden and a terrace with hammocks and WiFi available in all areas. This beachfront house offers a fan, a kitchen with stove, oven, kitchenware and fridge, and a bathroom with a shower. Guest at Casa Del Mar will find a variety of restaurants offering local food and Caribbean dishes. You can snorkel directly in front of Casa Del Mar. Staff at the house can also help you arrange activities in the local area. Dolphin watching and leatherback turtle nesting can be found within a 20-minute boat ride from Casa Del Mar and Punta Uva, Cocles and Chiquita Beaches are within 6.2 mi. Juan Santamaría International Airport is 4 hours’ drive away. Guests are kindly requested to inform the hotel 24 hours in advance of their estimated time of arrival. This can be noted in the Comments Box during booking or by contacting the property using the contact details found on the booking confirmation. Please note that a fixed amount of 50% of total amount of the reservation must be paid in advance. Once a booking has been made, the hotel will contact the guest directly to arrange payment by paypal or domestic bank transfer. Please inform Casa Del Mar of your expected arrival time in advance. You can use the Special Requests box when booking, or contact the property directly using the contact details in your confirmation.